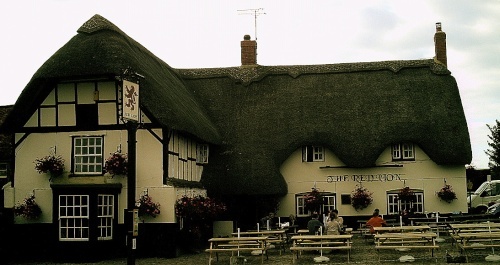 The red lion was originally created in the early 1600's and was a farm house until the year 1802 when it acquired a license and became a coaching in, The building remains to this day as a pub. The building has been voted as one of the top 10 most haunted pubs in the world and there have been reports of ghosts dating back many years. There are reportedly over 5 different ghosts at this location, the most famous of which is a lady named Florrie, she lived here during the 17th century and was married to a soldier who fought in the civil war. One day her husband returned home only to find his wife was having an affair and in a fit of rage he shot dead his wife's new lover and then stabbed her to death, he then threw her body down a well and sealed it with a boulder. The ghost of Florrie is one of the inhabitants that makes themselves known quite frequently, her ghostly apparition can be seen stalking the halls late at night. There have also been reports of a ghost of a farmer, two children and a ghostly horse drawn carriage which can be seen pulling up outside the pub.